Sheffield's Cabaret Voltaire were way, way ahead of their time. So did you ever consider yourselves 'musicians'? After exhausting the possibilities of attic recording CabVol really took things to the next level by finding/founding their own studio, Western Works in Sheffield's industrial district and finally being able to kit it out (with the help of Rough Trade) with something approaching a recording set-up, a multi-track tape machine and a mixing desk. As ever, CabVol touched on something ancient and futuristic in both their methods and sound — looking back to spaces like Can's Inner Space and Kraftwerk's Kling Klang studios, as well as sideways to Lee Perry's Black Ark set-up, but also in a weird way predicting the kind of independent D.I.Y self-sufficiency that so many contemporary artists now call their modus operandi. “Western Works was like our own version of Warhol's Factory,” admits Kirk. “More important than anything else, it was a place we could hang out, have a spliff, create freely. When we played in Watson's loft we'd get complaints about too much noise but in Western Works no-one interfered. I used to sleep there sometimes rather than stay at home with my parents. CabVol's newfound freedom in Western Works birthed a still-stunning run of albums that include 79's 'Mix-Up' and 'The Voice of America', 1980s mini-LP 'Three Mantras' and finally 'Red Mecca'. 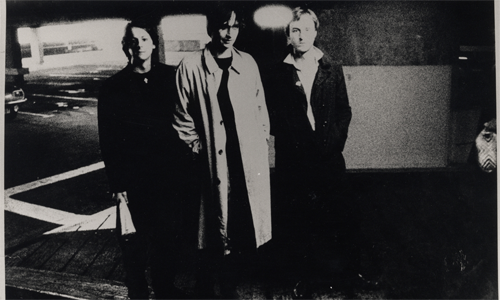 Prefiguring and massively influencing the worlds of techno, industrial, IDM and even d&b, Cabaret Voltaire's mix of sounds and uniquely paranoiac style mapped out the feel of their time like nothing else, 'Red Mecca' being perhaps their most cohesive masterpiece. Watson left for a career in film sound after the following year's '2x45' set of 12”s — by then, the reverberations of what Cabaret Voltaire had already done were starting to be felt beyond Sheffield. The next period of CabVol saw them signed to Virgin/Some Bizarre and making music directed at the feet and the dancefloor. Since CabVol's early days Kirk had always been releasing solo stuff under a variety of different pseudonyms but the explosion in club culture towards the end of the '80s gave his solo work, particularly the renowned work under the Sweet Exorcist (on the then up-and-coming Sheffield imprint Warp) and Sandoz monikers, even more impetus and direction. What's been great about Kirk's solo work is that it's always got a little bit of grit and grime and his own immediate environs imbued into the grooves. Currently, as ever, working on new music (“I found a mid-'80s MXR drum machine and I've been sampling that and have made about two hours of totally new music”) Kirk admits that he misses the spirit of innovation and intrigue that so characterised CabVol's massively influential work. In a time when CabVol's influence is clearer than ever, yet the political legacy of what was enacted in those early '80s years is still bequeathing divisiveness and despair, he's a little surprised at how the supposed limitless possibilities of modern music production are yielding such dwindling returns so often. Is there anyone at the moment you think is bucking that trend? Hear 'Red Mecca' and be inspired all over again. 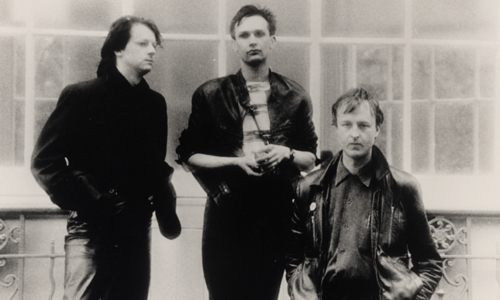 You get no rewards for being ahead of your time in music, but it's time Cabaret Voltaire got rediscovered by a new generation, if only to realise that being OF your time is perhaps the bravest thing of all. A still-unique voice. Long may it speak to all of us. From the middle of the chest.